If you really want to play better golf you need to realize that there’s a lot more to your game than just fixing your slice or hitting the ball 10 yards farther. Lower scores can happen but your path to those scores lies in becoming a “Complete Golfer”…… and a complete golfer pays attention to every part of their golf game. Every day on my lesson tee can sort of be golf ground hog day. Average Joes and Jills show up for a lesson or two and most of them are looking for a fairly quick fix for their slice or their lack of distance. They all leave with a better understanding of their swing and with a renewed sense of optimism that they can play better golf, but that new improved swing may not even result in lower scores because there’s so much more to the game than just hitting the ball a little straighter or a little longer. Golf is such a terrific game because it’s so very simple… “just hit that ball with this club” … and so very complex too. In order to really transform your game and your score card you should take the lead from our junior coaching programs which deal with a lot more than just hitting the ball a little better. We’ve been blessed at our golf school by working with some great, talented, hard-working kids who have gone on to become City, Provincial, and National Champions. With those kids, and with many adults too, we look at every part of their golf game and that’s the real secret to lower scores and permanent better golf. I tell our golfers in coaching programs to look at 6 different parts or silos that make up a complete golfer. Those parts are: 1) Ball Striking, 2) Short Game, 3) Putting, 4) Equipment, 5) Mental Game (course management and planning), and 6) Emotional Game. In truth, there are so many more things a golfer needs to pay attention to reach their goals including practice planning, warm up routine, tournament scheduling, fitness, nutrition, hydration, restfulness, pre-shot routine……. The list really doesn’t end when it comes to becoming your best possible total golfer but one thing’s for sure, it takes a lot more than just fixing your slice or adding a few yards to your drive. My first advice is to sit down and assess where you are right now with each part of your game. Be honest and write down all of your strengths and weaknesses. Also, starting today, try to be more self-aware. Figure out what makes you tense, nervous or anxious when you play. Figure out why you lose focus, get distracted or angry with your game. Lastly, start reflecting more about your game. Write down thoughts after practice sessions and golf games so you know what mistakes you’re making and just what you understand and don’t understand about your game. 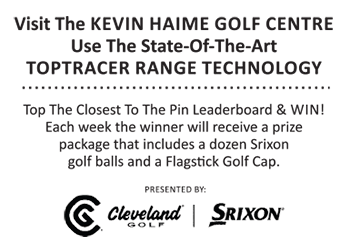 In this month’s teaching feature in Flagstick Golf Magazine I’ll get your “Complete Golfer” started by giving you 3 keys within the main 6 parts that make up your golf game. With that information, you can start to improve every part of your game and understand what it really takes to shoot lower scores. In my 28 years on the lesson tee I’ve seen just about everything. I’ve seen crazy golf swings, quirky putting strokes and very miss-fit equipment. I’ve seen the chip yips, bunker shanks and every personality you can imagine. Everybody has their own style that’s for sure but in the end the keys I’m giving you in this feature will help just about everyone. Improve your Set Up – A better set up requires no athletic ability or even experience but 95% of the golfers I see on my lesson tee have starting position issues. Spend time in front of a mirror and work on your stance, posture, grip, ball position and alignment. It will pay huge dividends! Stop Trying So Hard – Simply put, most golfers just move around too much. Everyone wants more distance so golfers lift, shift, over rotate and slide around too much. You’ll hit better, more consistent shots if you stay quieter and flexed as you swing the club. When it comes to your swing, that bigger backswing you’re trying to make is actually hurting you. Focus on your change in direction – The transition from backswing to downswing is the “magic move” in golf. Next time you’re practicing, focus on the path your arms are swinging on the way back and down. Try to feel the same path up and down and, whatever you do, make the change of direction more rhythmic. If your downswing starts with an aggressive urge to hit the ball, you’re in big trouble. Move Your Body – The idea of staying down and flat footed to prevent miss hits is one of the biggest fallacies in the game. Imagine tossing a ball with your head tucked down in your chest and your feet glued to the turf. Little golf shots around the green are like little underhanded tosses. To do them well you need to turn your body, let your weight flow and release to a finish on your lead leg. Be More Precise – A better short game is really about being able to predict the flight, trajectory, spin rate, landing spot and roll out of every shot you hit with different clubs in your bag. For that reason, I tell my players to pay close attention to their set up and swing rhythm on every shot. The more consistent you are, the more predictable your shots will be. Get In The Bunker – Almost every golfer I encounter is terrible at bunker shots. Most average players either can’t get the ball out or scream it across the green and into bigger trouble. That’s too bad because bunker shots are really easy when you know what you’re doing. My advice is to take just 1 bunker lesson then spend just a handful of hours practicing the shot. Just that little amount of commitment will lead to good bunker shots for the rest of your golfing days. Sounds worth it, doesn’t it? 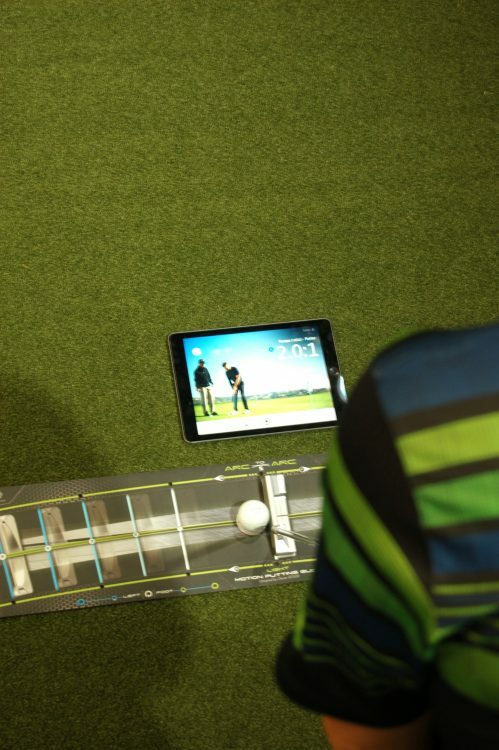 It’s All About Rhythm – Great rhythm will make you a great lag putter. All I focus on when I’m a long distance from the hole is maintaining the 2:1 rhythm of my putting stroke. That’s the standard on the PGA Tour for the greatest putters in the world. Every time I putt from any distance I try to swing the club with a 2:1 rhythm (backstroke takes twice as long as the forward stroke to the ball). Sometimes I actually say “Tiger” as I swing the putter back and “Woods” as I swing forward into the ball. Try my 2 syllable/ 1 syllable drill next time you’re practicing. It will really help you develop consistency and touch. Watch Your Aim – Golfers all think that reading greens is complex but it’s not. The reason why most golfers get confused about break is because they have poor aim. When you practice, spend time making sure your feet and, even more importantly, your forearms align parallel to your putting line. 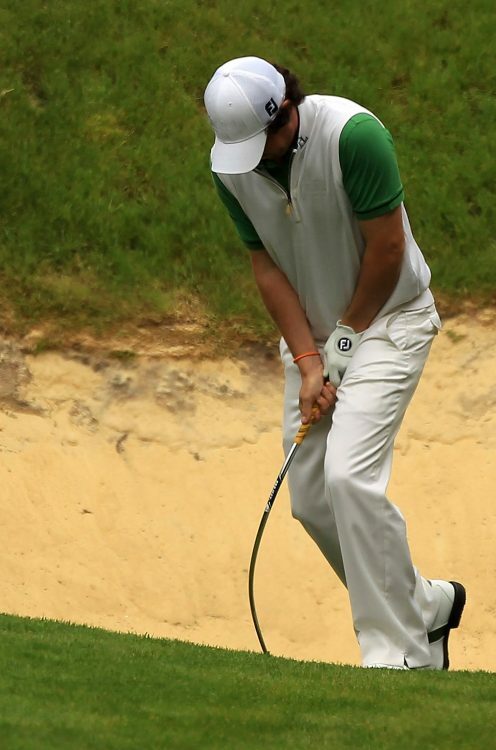 Also, always set your putter down squarely behind the ball then set your body up. That sequence will help you line up better every time. Stay Still – It’s actually quite difficult to swing your arms back and through with your putter while keeping everything else dead still. All beginners rotate their hips, shimmy their knees and move their heads when they swing their putters. Even intermediate players release or turn their heads before their putting stroke is finished. Well, all that movement is also twisting your club face causing your missed putts. Start practicing in front of a mirror and make sure the only thing that moves from the start to the finish of your swing is your arms. Get Fitted Properly – The term “Club Fitting” is thrown around golf pretty loosely these days. In my opinion, a sales person watching you hit a few balls indoors into a net is a long way from a proper club fitting session. 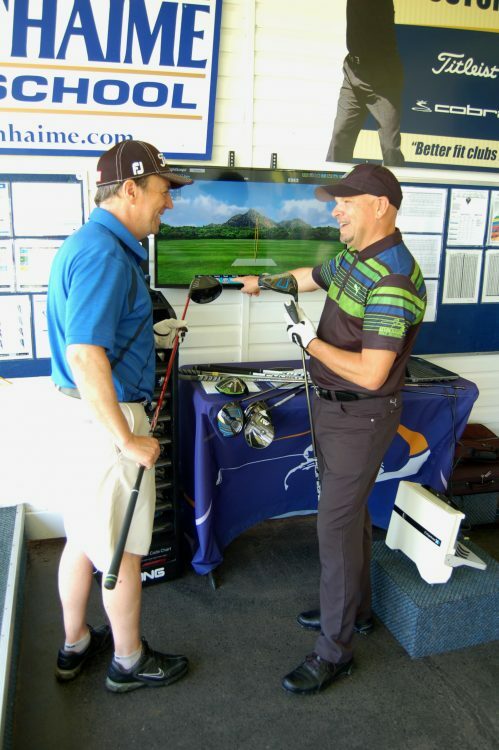 A proper club fitting session should be done outdoors with an experienced PGA Pro who knows and understands the swing. Your ball flight is actually determined by your swing and your club so you should work with someone who understands both. Buy Smart – When it comes to golf clubs buying smart doesn’t mean finding the lowest price on something you hope is right for you on EBay. I’m actually referring to buying the clubs you really need. For example, if you only hit the ball 150 yards off the tee you sure don’t need 14 clubs. Make sure you build your set properly for you and pay attention to how well and far you hit each club before you buy them. Filling your distance gaps is more important than filling up your bag with more clubs. Invest Where It Counts – Your driver and your putter are the two most important clubs in your bag so make sure both fit you well and dedicate a reasonable amount of research and budget to them. Whatever you do, make sure you really like those two clubs if you want to play better golf. My 80% Rule – I tell all of my competitive players not to try a shot unless they figure that they have a 4 out of 5 chance of pulling the shot off. If you try to hit shots you’re incapable of hitting or if you attempt shots with a high risk/reward value, expect to write down high scores on your scorecard more times than not. Reflect, Remember and Learn – Take time after every round and write down your mental mistakes and your shot tendencies. Think about why those mistakes happened and you’ll have a better chance of eliminating them in the future. Also, always write down critical course design features and green slopes. I can’t believe how many times I’ve watch a club member, never mind a public player, miss a putt because they don’t remember a subtle green slope on a course they’ve played many times. Be Resilient – Golf is really all about two things. You have to be able to control your body so you can hit the shots you want to and you have to be resilient because bad things will happen to you on the golf course every day. Golf is a game of misses. Even good rounds of golf include some poor shots. Bad rounds include more of those shots and probably some bad luck too. You will never hit every shot well and if you let the bad stuff bother you, your game and happiness on the course are doomed. Positive Self-Talk – Your subconscious can’t differentiate between reality and your self-talk. If you continue to say things to yourself like “I’m so stupid” and “I’ll never be able to do this”, you’ll never find yourself improving and winning. Saying negative things, or even walking with weak body language, will affect your performance and scores. If you don’t believe in yourself, who would? Stay In The Moment – The only two things that should matter to you on the golf course are your preparation for each shot and how you execute those shots. To be a successful golfer, you have to stay focused and stay in the moment. Thinking about results and worrying about your score will distract you and can sabotage your performance. Whenever possible, avoid tallying up your score mid round or even being the scorecard keeper in your group. As long as you can recount your score at the end of the round, which is your responsibility, leave the accounting to someone else.